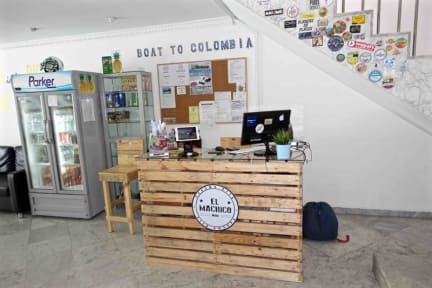 El Machico Hostel i Panama City, Panama : Boka nu! This is a clean, nice and friendly hostel. Javier was a very service minded and charming guy who helped us with the luggade up for the stairs and gave us great tips of where to eat for lunch and dinners. An extra plus for the pool! Only stayed here for one night but felt like a good place. Only stayed for one night, the staff was super friendly and helpful. Good value for the money.